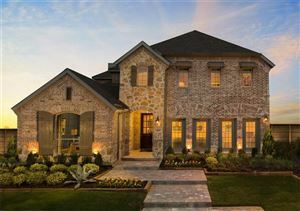 Located inside a picturesque master-planned community in Little Elm, Del Webb at Union Park is the perfect place to find your next chapter. This vibrant 55+ Active Adult community features resort-style living and consumer inspired single-story homes. Relax by the pool, take a walk along the trails, or challenge your friends on the tennis courts. There are ten single family home styles to suit your specific budget and style. Homes range from the low $200s to the low $300s. Homes are designed with two or three bedrooms, two or three bathrooms, two car garages and range from 1,400 to 2,500 s.f. Stay tuned, Del Webb at Union Park will open in late 2018.